We have been providing tutions since 2010. We have pool of expert teachers for all subjects.We focus on the fundamentals and help students in securing higher grades. We operate seven days a week and provide tutor at your convinient time. 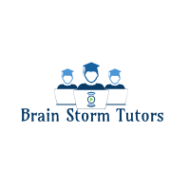 Brain Storm Tutors conducts classes in BBA Tuition, BBI Tuition and BCA Tuition. It is located in Bandra, Mumbai. It takes Regular Classes- at the Institute.